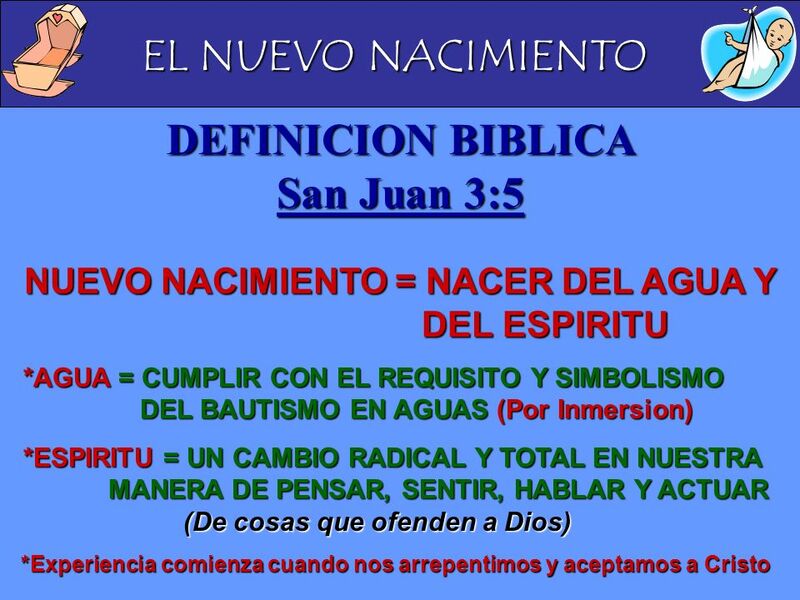 EL NUEVO NACIMIENTO PREGUNTAS Y RESPUESTAS 1- AHORA QUE ESTA EN CRISTO, ¿SE SIENTE USTED DIFERENTE? 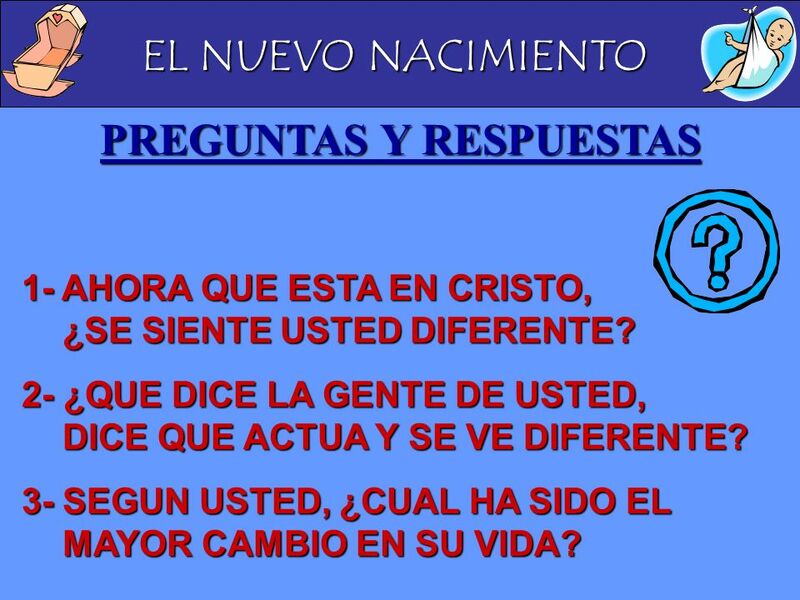 2- ¿QUE DICE LA GENTE DE USTED, DICE QUE ACTUA Y SE VE DIFERENTE? 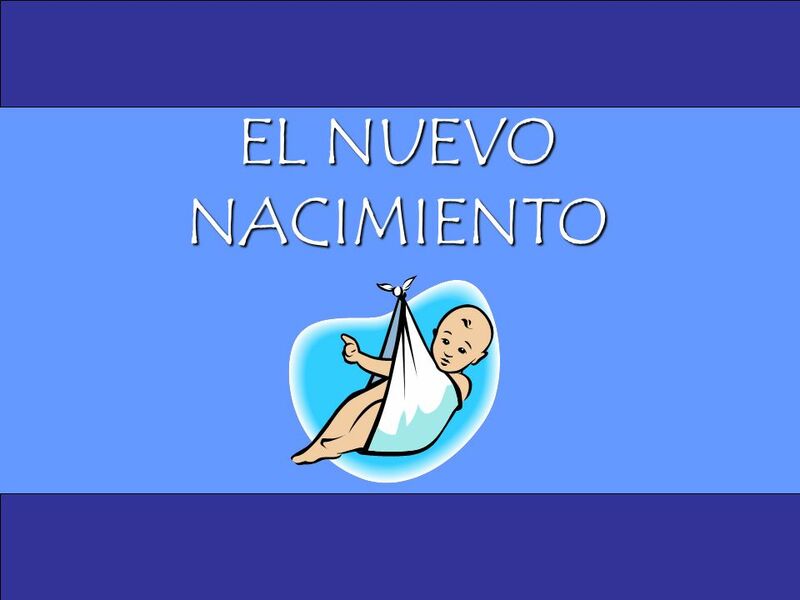 3-	SEGUN USTED, ¿CUAL HA SIDO EL MAYOR CAMBIO EN SU VIDA? 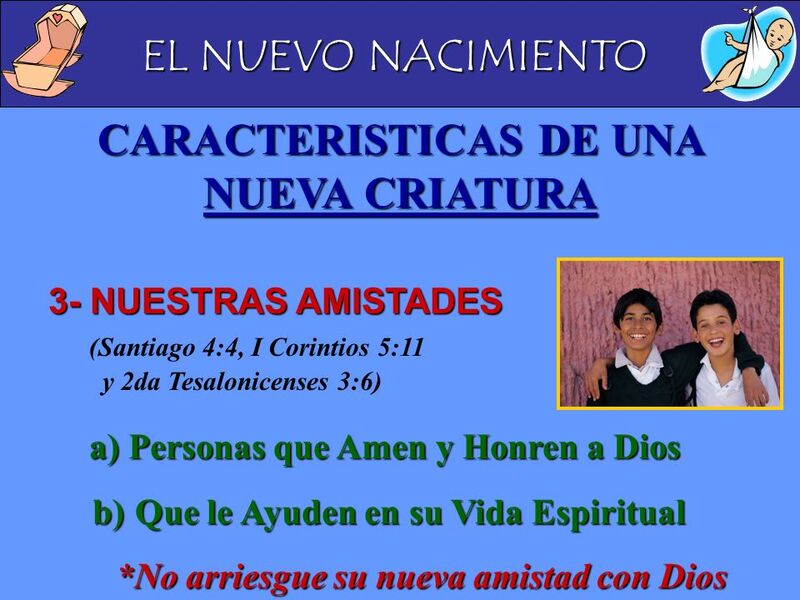 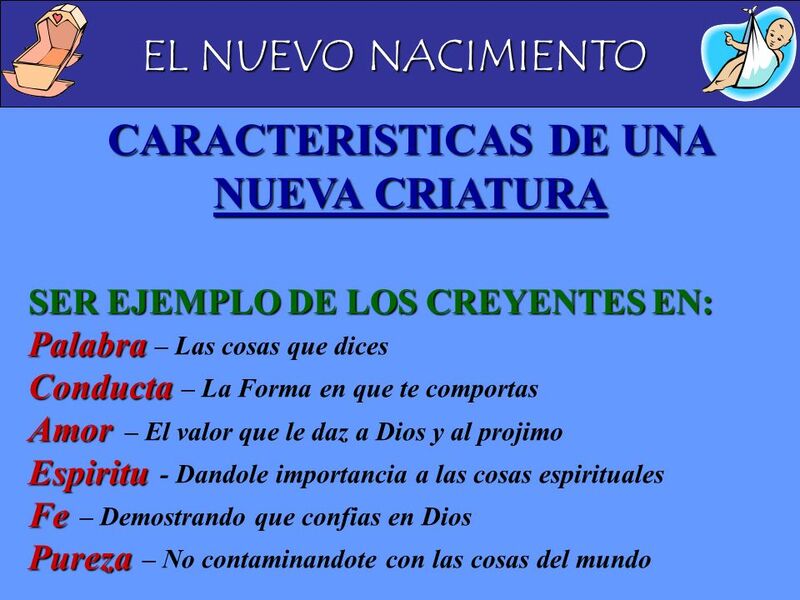 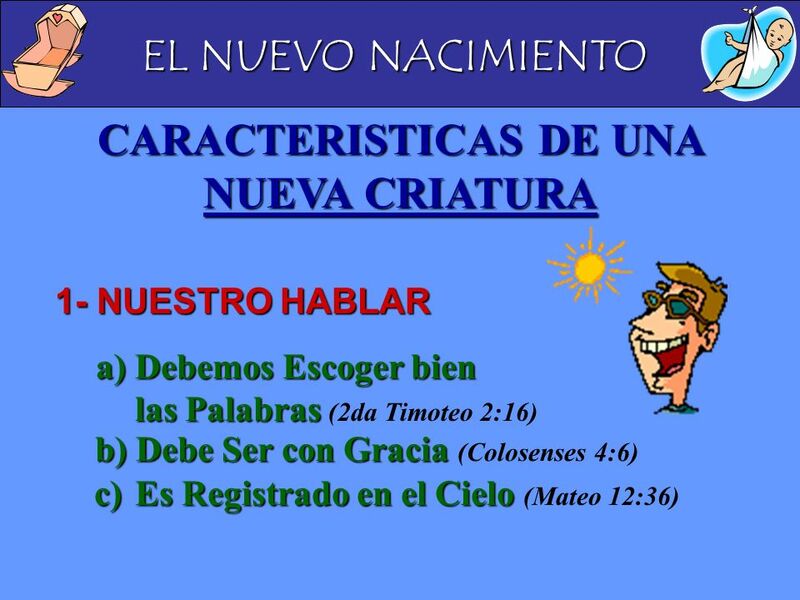 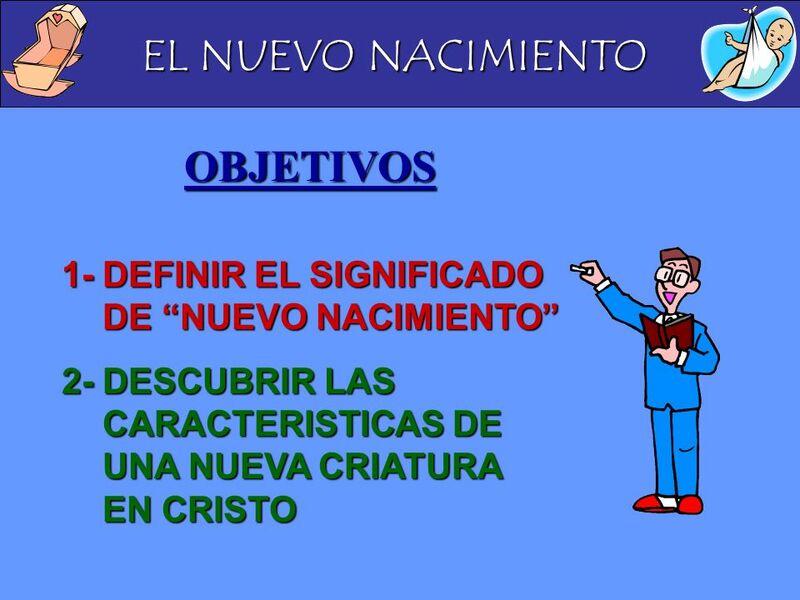 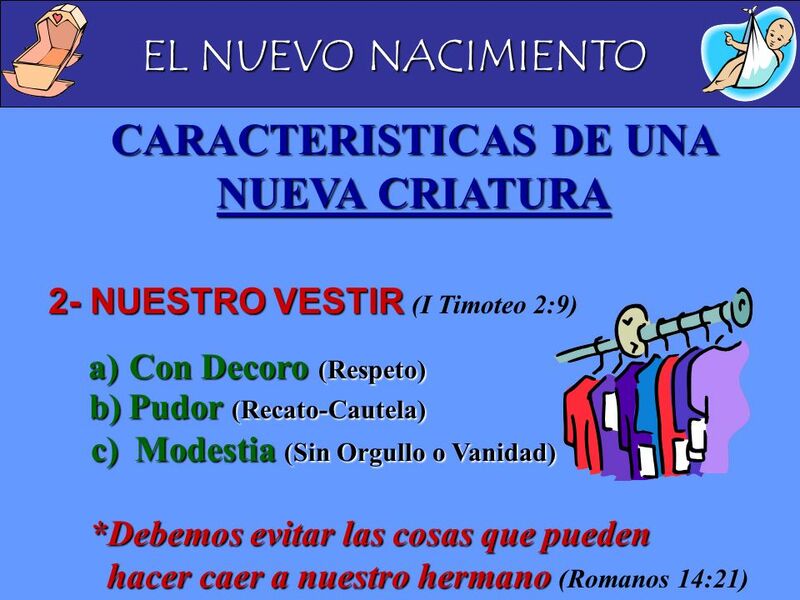 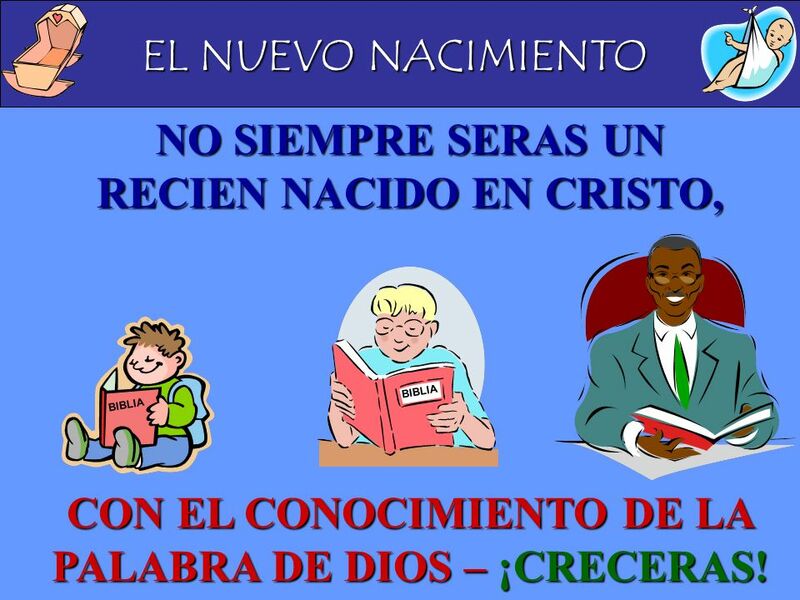 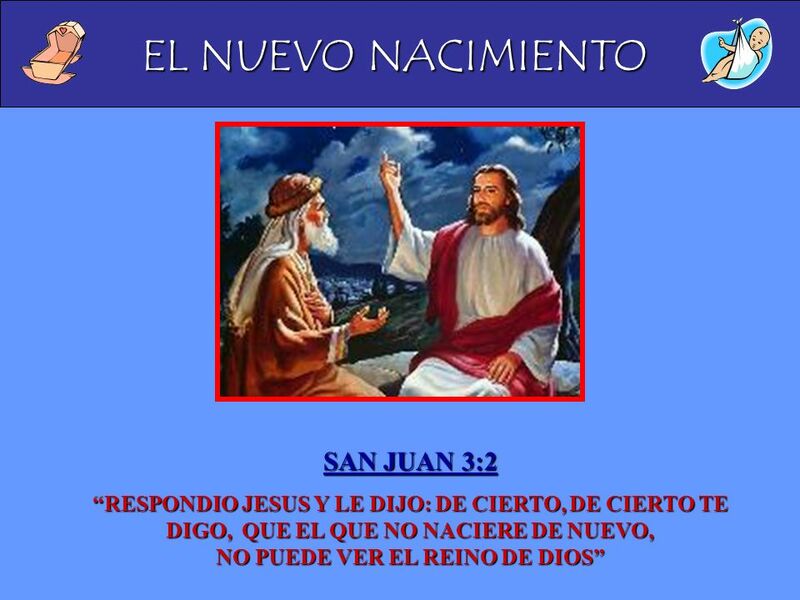 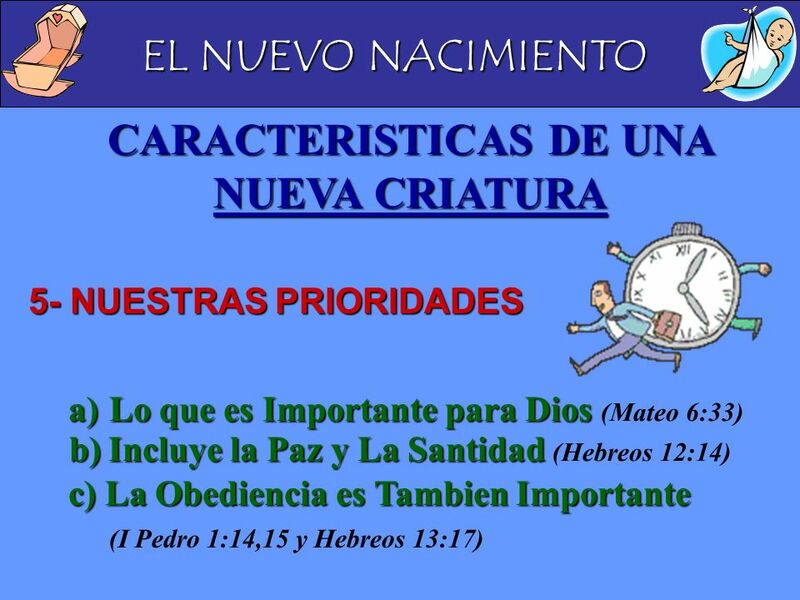 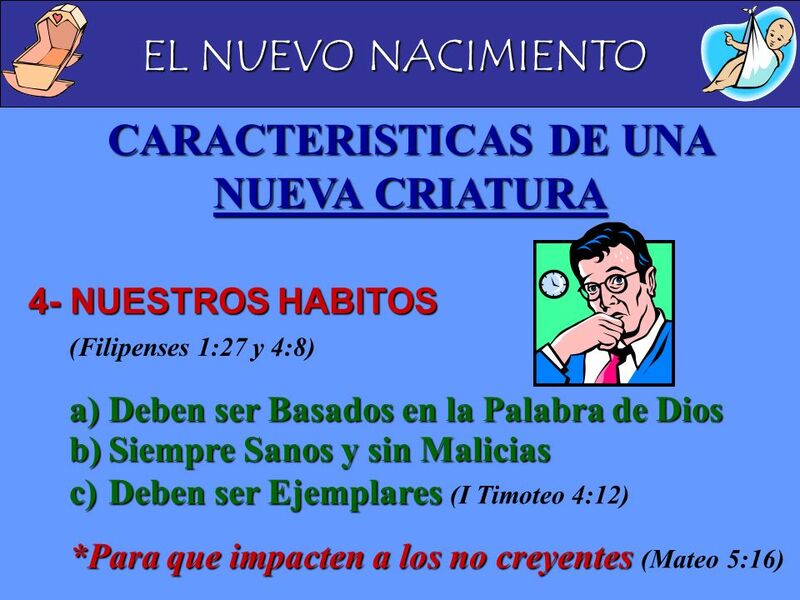 Descargar ppt "EL NUEVO NACIMIENTO."